Q: What is the Direct PhD Program and how do I apply? A: The AE Department offers a Direct PhD program, which allows highly qualified students, generally with a B.S. degree GPA of 3.75 equivalent or better, to apply for admittance directly into the PhD program without an MS degree, which reduces the course work requirement. Application for this program for new students is initiated on the Graduate Application form by stating interest in program in the personal statement. Students in the MS program must have approval of a PhD advisor and petition the AE Graduate Policy Committee to join the Direct PhD program before the end of the second semester after enrollment. See Direct PhD Requirements here. Q: How do I switch from the MS Non-thesis program to the MS program? A: All program changes require a petition. The petition form can be found at The Grad College's website. The petition should be completed and signed by the student. The research advisor’s comments and signature are also required. Complete petitions should be submitted to the department graduate office in 306E Talbot Lab. The decision will be emailed to the student once department approvals have been obtained. Q: How do I transfer courses to my graduate program? A: All requests to transfer credit require a petition. The petition form can be found at The Grad College. The petition should be completed and signed by the student. The advisor’s comments and signature are also required. Complete petitions should be submitted to the department graduate office in 306E Talbot Lab. Up to 12 hours of credit may be transferred. Transferred credit may not have been previously applied toward a degree. Credit may not be transferred to count toward Stage II or Stage III of a doctoral program. 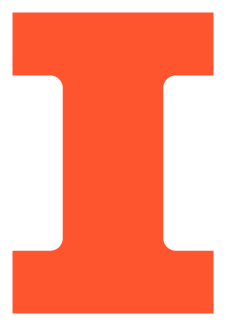 A student must have successfully completed at least 8 semester hours of graded graduate work at the University of Illinois at Urbana-Champaign before submitting a request for transfer of credit. See the Graduate College’s Graduate Handbook at for full information regarding the transfer of credit. Q: May I have an advisor who is not an AE faculty member? A: Yes, graduate students may have a research advisor who is not an AE faculty member. However, all students must have an academic advisor in the AE Department. Q: May I take an independent study course with my research advisor? A: PhD and MS thesis students should not register for independent study with their research advisors. Exceptions may be made if the independent study course is sufficiently different than the work being done on the thesis. In these cases, departmental approval is required by petition. MS non-thesis students may register for an independent study with their academic advisor. Q: May I take graduate courses credit/noncredit? A: No. Only graded coursework will count toward a graduate degree in the Department of Aerospace Engineering. Q: Is seminar attendance required? A: Yes. All MS degree students are required to register for AE 590 every semester in residence. Commuting distance is not grounds for waiving the seminar requirement. Special arrangements can be made in case of class conflict (see seminar policy below). All PhD students must register for AE 590 for four semester beginning with entrance into the PhD candidate program (pass qualifying exam). Q: What funding opportunities exist in the department? Outside the department? A: Research assistantships are offered by individual faculty members. You should contact faculty in your area of interest to inquire about research assistantships. Teaching assistantships are determined by a teaching assistantship committee. Please note that the department does not offer teaching assistantships to MS non-thesis students. Announcements for fellowship opportunities are usually sent to graduate students via email. You should visit the Fellowship Office website to learn about other opportunities. Q: When do I need to take the Qualifying exam? A: Graduate students who seek admission to PhD Candidacy must take the Departmental Qualifying Examination by the second offering after their enrollment as a PhD student, but students may also take the exam as a MS student. Additional information about the Qualifying Exam can be found in the department’s Guide to Graduate Programs. Examples from previous qualifying exams are available in the department office. Q: When do I need to take the Preliminary exam? A: The Preliminary examination must be taken between nine months and five years before the Final exam. Also, the examination may be taken no earlier than the semester in which the candidate completes the thirty-second hour of coursework required in the second stage of the PhD program. Additional information about the Preliminary Exam can be found in the department’s Guide to Graduate Programs. Q: Where can I find information about taxes, insurance, etc.? AE Department Website – includes links to AE Guide to Graduate Studies, Frequently Asked Questions, Degree Checklists, Frequently Used Forms, Academic Calendar, etc. Q: What is the role of the Graduate Policy Committee? A: The Graduate Policy Committee reviews and approves student petitions and sets policy for the AE Department’s graduate program. It is made up of three faculty members, one from each of the three program areas (Aerodynamics, Fluid Mechanics, Combustion and Propulsion (AFMCP); Astrodynamics, Controls and Dynamical Systems (ACDS); and Structural Mechanics and Materials (SMM). Q: What is the role of the Graduate Student Advisory Committee? A: The Aerospace Engineering Graduate Advisory Committee is to serve as a voice for all graduate students in the AE department. The Committee strives toward continuous improvement of the department to serve the needs of graduate students. In addition, the Committee encourages involvement in student projects and initiates other projects to further improve students’ experience in the department. The Committee meets with the Head of the Department to discuss their concerns and concerns brought to their attention by the graduate student body, and to advise the Head and Associate Head on graduate matters. This Committee does not serve as a formal grievance committee. Q: How do I switch advisors? A: Any change of advisors must be petitioned. The petition must include the signatures of both the previous and new advisor. Complete petitions should be submitted to the department graduate office in 306E Talbot Lab. Q: After I complete my MS degree how do I get into the PhD program? A: Students interested in joining the PhD program must submit a petition to be signed by the advisor and take the qualifying exam by the second offering after their enrollment as a PhD student. Q: What are the requirements to hold a teaching assistantship? A: To receive and hold an assistantship, a student must be in good standing. The AE Department does not offer teaching assistantships to students in the MS non-thesis program. All teaching assistants must attend a mandatory training workshop held by the Center for Innovation in Teaching & Learning (CITL). These workshops are held twice a year at the beginning of the fall and spring semesters. See the CITL website at for additional information. NOTE: International students must receive a 24 on the TOEFL iBT speaking sub-section or pass the SPEAK Test which is given by the University. CITL has more complete information.